Cruises are amazing experiences for people of all ages to enjoy. They allow us to visit some of the most exotic and beautiful destinations on Earth and actually give us a chance to visit multiple locations all in one trip with ease, rather than having to add on lots of extra costs from booking multiple flights or travel routes. Not only that, but cruise ships also allow you to enjoy a whole wealth of amazing features, amenities, and facilities right there on board. May is a great time to take a cruise as the summer hasn’t quite begun just yet, meaning that the prices at this time of year tend to be a little lower and many of the cruise ports and destinations are a little less busy, so you won’t have to worry about the crowds as much and can save some money too. There are all sorts of cruise destinations you can visit in May with leading cruise lines like Carnival and Royal Caribbean. See below to learn more, including full itineraries, for some of the very best cruises to take in May. There are plenty of cruises heading off in May to exotic islands like the Bahamas, Bermuda, Hawaii, and the Caymans, but the weather elsewhere around the world is starting to heat up at this time of year too, so it can be a good time to explore other locations like those along the Pacific Coast of North America. This '4 Night Pacific Coastal' cruise from Princess Cruises will let you do just that, setting off from San Francisco in California and making a total of three stops over the course of its 4 night journey. This is also one of the most affordable May cruises and it takes place on board the Grand Princess, one of the most fully-featured ships in the Princess Cruises fleet. You'll find lots to do on board this ship, with fun activities and areas like the swimming pool and sun decks offering plenty of opportunities for people looking to pass the time as they wait to arrive at the next destination. As the weather is getting warmer, you really will be able to make the most of the facilities on this ship, which also features exercise rooms, a spa, live shows, and much more. The '4 Night Pacific Coastal' cruise makes its first stop at Astoria in Oregon. Located in Clatsop County on the Columbia River, Astoria is a beautiful city with a lot of historic architecture like the Flavel House Museum. Other local attractions include the Astoria Column and Columbia River Maritime Museum, where you can learn more about one of the most significant rivers in the US. Next, your cruise will take you to two stops in Canada: Nanaimo and Vancouver. Two fascinating cities with their own unique charms and attractions, Nanaimo and Vancouver are both excellent places to explore and you'll definitely be heading home with some magical memories from your trip over the border into Canada. 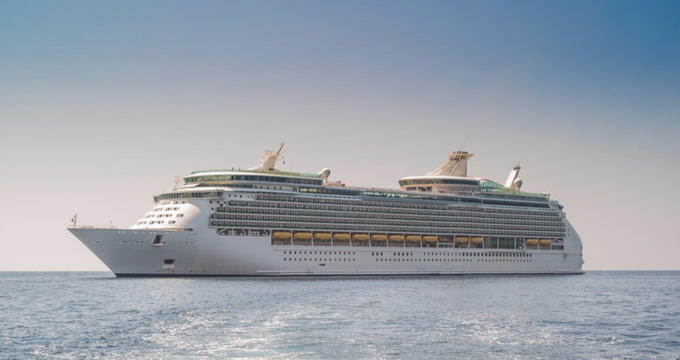 May is often a good month for short cruises, as it's not an ideal time for people to take much time off work and spend weeks away from home, but it is well-suited to long weekends and romantic getaways, and that's exactly what you can enjoy if you choose the '3 Night Bahamas' cruise from Royal Caribbean. Royal Caribbean is by far one of the most-trusted and beloved names in the cruising world, and you'll fall in love with them too after spending a few nights on this excellent cruise. The cruise takes place on board the Navigator of the Seas. A great ship with a lot to offer, the Navigator of the Seas blends together classic cruise ship design with contemporary elegance, offering a fine fusion of styles to create a really aesthetically pleasing, easy-to-navigate, fully-featured ship that can truly become your 'home away from home' for the duration of this May cruise. The '3 Night Bahamas' cruise sets off from Miami in Florida and, despite its short length, actually makes two stops. The first stop is at Coco Cay. Also known as Little Stirrup Cay, this little private island is owned by Royal Caribbean, so it's only available for those who travel on Royal Caribbean cruises, making it a highly desirable and exclusive destination. You'll feel like a star after spending a day on Coco Cay, all ready to visit the second stop: Nassau. The capital city of the Bahamas, Nassau is a great place to shop, eat, relax, and have fun. Be sure to buy some souvenirs before you head home! For an affordable May cruise that visits multiple destinations all around the magical Caribbean Sea, choose the '6 Night Western Caribbean' cruise from Carnival. Past passengers on this cruise only have great things to say about it, with many people booking again for the following May as soon as they head home, making this one of May's top rated cruises and one of the best ways to spend some time at this time of year. The '6 Night Western Caribbean' cruise welcomes you on board the Carnival Horizon. This is actually one of the newest ships in the Carnival fleet, so it's fitted out with state-of-the-art features and facilities, while still retaining the classic charms and unbeatable amenities that have helped to make Carnival such a popular name in the cruise line business. You'll be amazed as you step on board and marvel at the fascinating fusion of designs and decoration styles on board the Horzion, as well as being blown away by the vast array of features and facilities on board. With lots of different dining areas, bars, lounges, pools, sport courts, games, activities, and shows to enjoy, the Horizon is better than any 5-star resort you could find. For this May cruise, you'll be setting off from Miami in Florida and exploring some key spots around the western side of the Caribbean Sea. Your first stop will be Ocho Rios, home to some of the most luxurious beaches in all of Jamaica. Next, you'll visit George Town on Grand Cayman Island where you can do some snorkeling, sunbathing, shopping, and really soak up some of the local culture and see what life in the Caribbean is all about. Finally, the third stop on this 6 night Caribbean cruise is the Mexican island of Cozumel, well-known for its astonishingly good scuba diving spots and soft white sands.